Pink’s voice is better than ever, and she’s leaned on A-list producers — including Greg Kurstin, Max Martin and Jack Antonof. It’s a carefully curated, slick album of bitter songs from a singer returning to pop after five years away. Things are not as perfect as they might seem in the land of Pink. The three-time Grammy winner may have loads of money, two kids and an 11-year marriage, but her new album is filled with unease and regret. It’s a carefully curated, slick album of bitter songs from a singer returning to pop after five years away. She’s usually an icon of empowerment and strength, but here seems defeated. Among the missteps is a duet with Eminem that sounds like it was rejected five years ago when the pair last collaborated and the dance song “Secrets” that makes Pink sound like Kylie Minogue, only more vapid. Pink is 38 now and the music landscape has changed. (Fergie can probably commiserate, having found herself on other side of 40 with her own messy album comeback.) Bad love is Pink’s thing now, even though Lorde and Halsey seem to have the corner on confessional pop. Pink’s voice is better than ever, and she’s leaned on A-list producers — including Greg Kurstin, Max Martin and Jack Antonoff — but this is basically a breakup album from a woman in a committed relationship. If there’s any social commentary it is too muted. In “Whatever You Want” she warns “I feel like our ship’s going down tonight.” The title song has her calling her lover “perfect rock bottom” and “the nightmare I wake in.” Another song has her singing: “We had a thing but we lost it.” (The album’s listening party must be a little tense at Pink’s house). “Beautiful Trauma” has plenty of swelling strings and a choir, slow piano moments meant to be meaningful, occasional swearing to keep it real for the kids and utter musical bombast, almost venturing into Meat Loaf’s operatic self-indulgence. 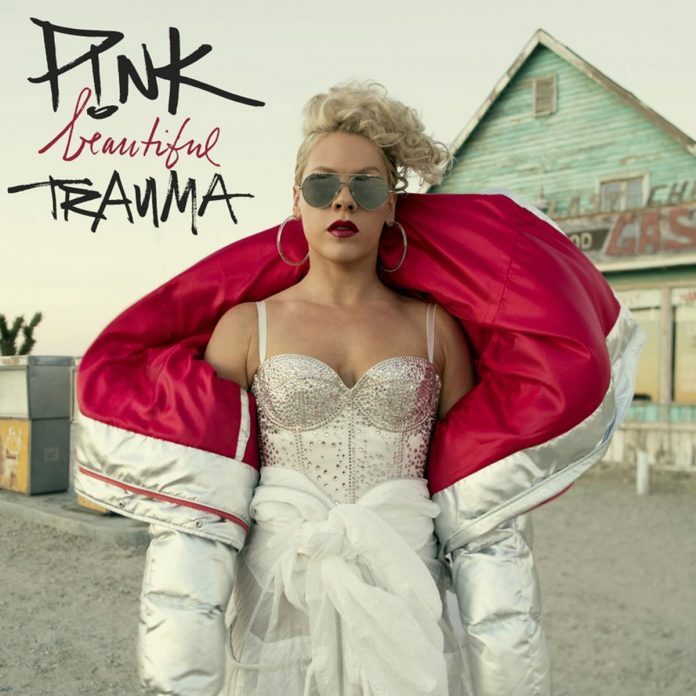 By the end, Pink utterly tips into parody with the overwrought “Wild Hearts Can’t Be Broken” and the tiresome torch song “You Get My Love.” This CD might be about trauma, but it’s not always beautiful. Music review: Pink, “Beautiful Trauma” (RCA Records). Pink resurfaces with a slick and gloomy new CD. The new album is filled with unease and regret.